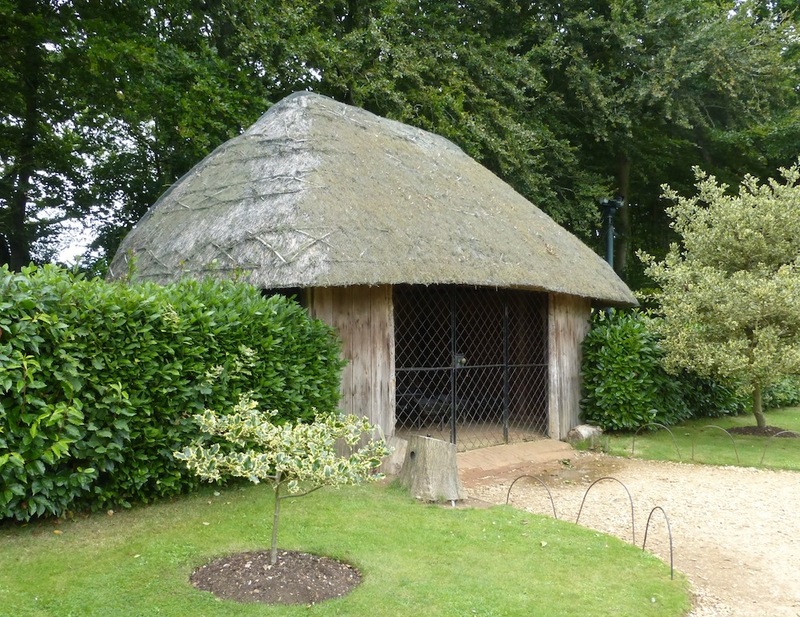 The thatched summer house in the grounds of Osborne, at East Cowes on the Isle of Wight, is in the part of the gardens set aside for the royal children to cultivate. The two eldest boys, Bertie (the Prince of Wales, and future Edward VII) and Alfie (Prince Alfred) helped to lay the floor. 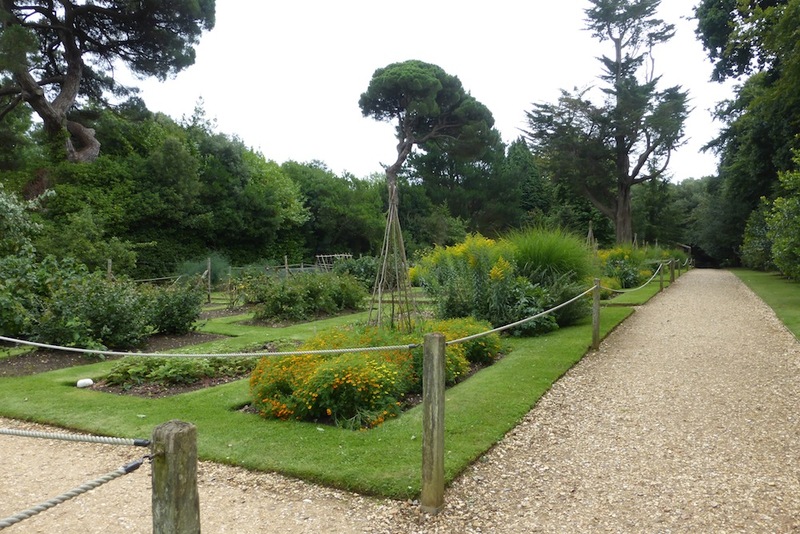 The children were given plots of land in this area and encouraged to plant and grow produce, whether flowers or vegetables, and sell them to their father at their market value (see Turner 30). This was part of Prince Albert's scheme for a practical education for his children. The little summer house was used as a tool-shed for their child-sized implements and wheelbarrows. Turner, Michael. Osborne. Rev. reprint. London: English Heritage, 2016.